BOSAWAS, Nicaragua – “He used to beat me every time he came home drunk,” said Elena Talavera, describing her husband, in the remote indigenous community of Amak, in Nicaragua. Amak is nestled in the heart of Alto Wangki Bocay, the largest natural reserve in Central America. The women and girls of Amak shoulder the majority of family responsibilities, and too often, their low status extends beyond the unequal distribution of domestic work: Many women are also subjected to gender-based violence. Ms. Talavera was one of the first women in her community to halt the cycle of violence. Even though the nearest court was over a day’s travel away, she decided to report her husband to the authorities. But she feared even this would not secure her safety. For many women like Ms. Talavera, justice and safety seemed like a faraway prospect. Reporting and investigating crimes was often prohibitively difficult for the authorities. Police in Amak had to reported cases to authorities in San Andres, over an hour away by boat. After that, cases were referred to Wiwili, another 12 to 18 hours away, depending on water level. Serious cases would be referred to Jinotenga, a five- hour drive away. In response to these conditions, the United Nations began a programme in August 2012 to empower women and reduce insecurity in Alto Wangki Bocay. With the support of the Supreme Court of Justice and the Indigenous Justice System, the programme selected and trained 52 community judges, better known as ‘wihtas’. The judges work to prevent and resolve conflicts in remote, rural regions where court systems are largely inaccessible. 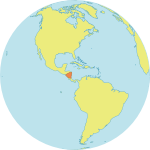 In particular, the judges are trained to promote and apply Nicaragua’s Law 779, which criminalizes violence against women. The text of this law has been translated to Miskitu and Mayagna, two indigenous languages in the area. UNFPA is the lead agency in executing this programme, working closely with the Secretariat for the Development of the Caribbean Coast and the Government of Nicaragua, as well as with partner agencies including the UN Children’s Fund, the Food and Agriculture Organization, the UN Development Programme, and the International Organization for Migration. More women are now coming forward to report abuse, and they are sharing their stories to encourage others seek help as well. It was not an isolated incident. “It happened again and again,” she said. But under the new system of wihtas, she filed a complaint, and her husband was arrested. Much more work remains to be done. For example, safe spaces must be established for victims of abuse and their families. And the UN programme is also working to improve indigenous communities’ agricultural production, food security, access to sexual and reproductive health services, sustainable development, and resources for adolescents and youth. But the programme – which has wihtas serving in 64 indigenous communities – has been a powerful first step in promoting development and human rights. Ms. Bolaños says it has helped restore the confidence of the community’s women. “We feel safe now because they are respecting our rights and now no one can hurt us,” she said.